Jin Air revealed their first image song on the 11th. 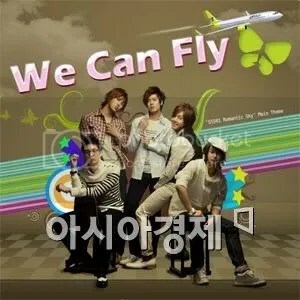 This song is sung by idol group SS501, and is titled “We Can Fly”. This is also a collaboration between SS501 and Jin Air following their 2 day 1 night Jeju Island fan meeting. The Jeju Island fan activity Romantic Sky is currently broadcasting on M.net, this song is also the theme song for the program. In addition, “We Can Fly” will also be played on Jin Air flights. Currently, the song was well-received after being aired on M.net. In the future, the airlines hopes to develop a closer relationship with their passengers through the song. This upbeat song, along with its easy to follow lyrics “desire to travel”, gives Jin Air passengers an easy and happy experience while being brand-orientated.